January 24, 2012 marks the 77th anniversary of the day Gottfried Krueger Brewing Co. first brought canned beers into the market. Though it hasn’t been (and probably never will be) declared an official holiday, more and more people are celebrating Beer Can Appreciation Day to pay tribute to the creation that has changed the experience of buying, keeping and drinking beer, forever. 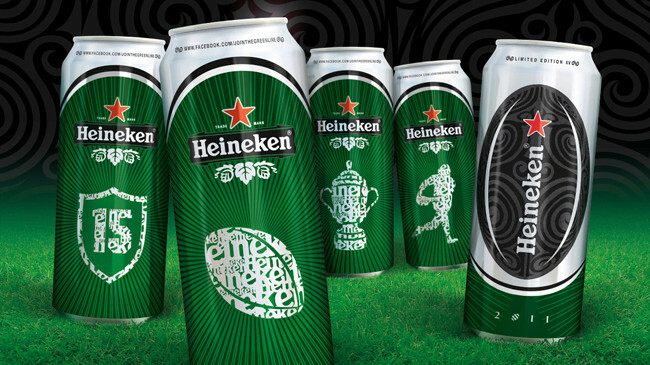 YTD takes part in the Beer Can Appreciation Day celebration with this collection of 35 tasteful beer can designs. Check them out and don’t forget to leave a comment after. Cheers! Beer Can Appreciation Day (we’d like to believe) wasn’t just created to give people an excuse to drink more beer. A bit of research about beer cans would tell you that they do deserve our appreciation. First, beer cans are relatively cheaper than beer bottles. They require minimal energy to produce and most of the materials used in these cans can be reused to manufacture new ones. Second, beer cans do a better job in preserving the beer’s flavor. Aluminum cans prevent beer from getting “skunked” due to exposure from UV light. They are also very durable and contain lower oxygen levels than bottles which increases shelf life. Lastly, the variety of beer can designs makes them perfect collector’s items. And with beer cans that look as good as the ones above, it shouldn’t be a surprise that some people are more interested in the cans than the booze!